Flywheel does things a little differently when it comes to SFTP (secure file transfer protocol). 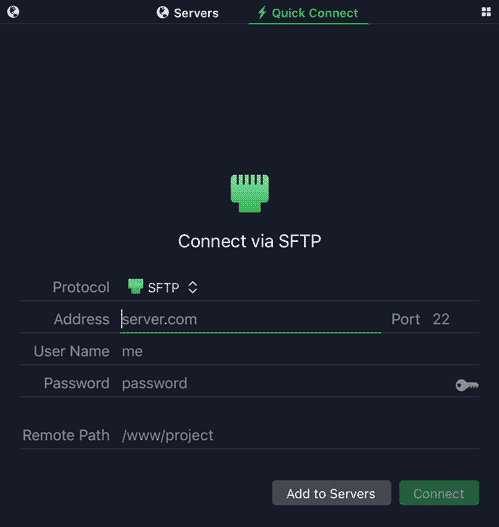 SFTP is how you tunnel in to the server where your site’s files live. Firstly, you’ll need an account with Flywheel. If you’re a hosting client of mine, I’ll send you this invitation upon request. As you set up your account, note the username and password you create along the way. You’ll need this to make the SFTP connection. Username is the same as what you use to login at app.getflywheel.com. Password is also what you setup for that Flywheel account. And make sure you’re set to SFTP (not just FTP or any of the other options). Once the connection has been made, you’ll have access to your site’s files. A word of caution! You can break, diminish or even downright delete your site via SFTP! Be careful! Ask questions!